TOEFL Preparation Test :: Who is it for? The TOEFL Preparation Test iBT is not yet available at every test center. If it is available at your local center then you will have to do it. If not you will do the PBT. TOEFL Preparation Test in Jagoenglish As free online learning courses provide this material in free condition. This free practice test has the same sort of questions as you will find in the paper-based TOEFL test. TOEFL Preparation Test meanwhile The TOEFL exam takes several hours to complete. Be prepared! TOEFL Preparation Test :: Read the instructions and questions carefully before you listen. Note taking is allowed. You should practice this. Remember, one lecture is spoken with a British or Australian accent. Try to get an idea of the situation. Who are the speakers? Where are they? Why are they speaking? 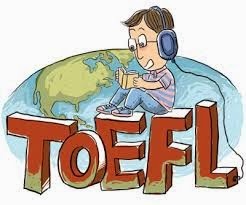 TOEFL Preparation Test :: As a learning language, In some questions a portion of the lecture or conversation is replayed so you don't need to rely on memory of what was said. Listen for 'signpost words' such as however, although and finally. They help you to anticipate what the speaker will say. For some questions you will need to understand the speaker's attitude. Listen to voice tones and other cues to determine how the speakers feel about the topic. Skim through each text to try to get a basic understanding of what it is about. What is the text about? Who was it written for? TOEFL Preparation Test :: Carefully read the title and any sub-headings. What is the main point of each paragraph? Each paragraph contains a single main idea. The questions will focus on these main ideas. I have so many Thai friends asking me about sites that can help them ace the score they've been dreaming to have in TOEFL. I think I just came across one. This site will be recommended then. It's good to be prepared for any test... Especially English Test! There are TOEFL courses here. It really gives you an edge in other English Speaking countries. I have taken the TOEFL. Not really that hard when you are using English everyday. Sometimes it is your nerves that make you confused. Reviews like this give you confidence. not planning to further my studies overseas (or in the US), but for asians with English as first language, do we still need to take this test? One of my pet peeves when I was younger - I'd be in some remote corner of an English speaking country (UK for example), and the (as an example again) B&B host will suddenly compliment me on my "excellent" spoken English. I'd try to explain that being Singaporean, I have been instructed in English ALL MY LIFE, only to have them remark again, "well yes, but your English is really good". ERHM, I use it everyday?! Plus, it not VERY GOOD, it is the normal standard, where I am from?! Now that I am mellower (I hope), I just laugh it off... ha! That's one of the reason I've never bother with TOEFL. Great to know about. I have helped a lot of people prepare for this test, and there is always confusion on how to properly prepare.